Can anyone touted as Taliban Khan take such unprecedented initiatives for minorities? 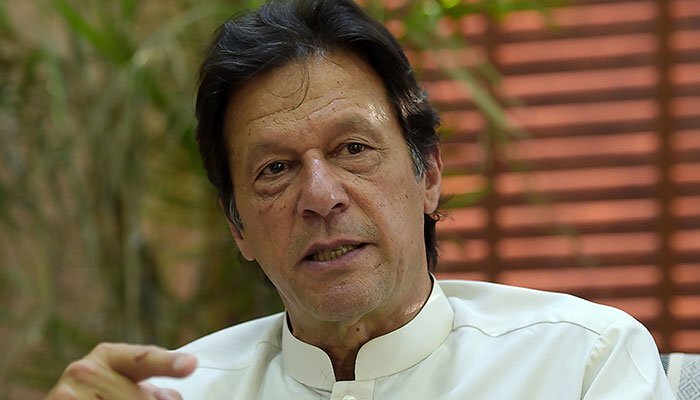 From Taliban Khan to Yahoodi Agent, Imran Khan has been given a lot of names over the past twenty years. And now that his party has finished five years of government in KP, here’s a list of 11 things to help you decide if Imran Khan has lived up to his Taliban Khan credentials. 1. A sum of Rs: 90 million was allocated for the renovation of minorities’ places of worship in KP. In a move aimed to safeguard and protect the rights of minorities, promote religious harmony and raise living standards of minorities the PTI led KP government allocated a sum of Rs: 90 million to renovate temples, churches and gurdwaras all over KP. 2. A 7th century Budha was restored after 11 years. The Taliban in 2007 destroyed an ancient 7th century statue of Budha. In 2012, five years after the attack, a restoration process was begun in the Swat Valley under the supervision of Italian archaeologist Luca Maria Olivieri. 3. The KP government put a ban on the sale and purchase of churches’ properties. When Reverend Jimmy Mathews of the Diocesan Society submitted a letter to the Auqaf, Hajj, Religious and Minority Affairs Department over the illegal sale of church properties, the PTI led KP government implemented a ban on the sale and purchase of churches’ properties. 4. In a first, three Christian women were recruited in the tribal police force. For the first time ever, in the history of Pakistan, the KP police in Khyber Agency appointed three Christian women to work alongside Muslim male colleagues. 5. A Gurdwara in Peshawar opened its doors after 73 years: An ancient Sikh temple, Bhai Beba Singh, which remained non-functional for 73 years was opened for worship again by the PTI led KP government in March 2016. A donation of Rs 3 million was also made by Sardar Suran Singh, Special Assistant to Chief Minister Pervez Khattak on behalf of the KP government. Moreover, the newly-opened gurdwara now has a 24-hour Sikh Security detail as well as KP police guards. 6. The PTI led KP government doubled the job employment quota of minorities: Other than doubling the minority job employment quota, the portfolio of minorities’ affairs was assigned to a minority member as well for the first time in the history of the province. 7. The KP government provided all minorities’ worship places with solar panels, sound systems: In December 2015, the PTI led Khyber Pakhtunkhwa government began this program to equip all temples, gurdwaras and churches with solar panels and sound systems so that religious minorities could perform their rituals without any hindrance. 8. For the first time ever, PTI’s government in KP allocated monthly stipends for religious leaders of minorities. A sum of rs 140 million was allocated for this purpose. The religious minorities in KP include Hindus, Christians, Sikhs and Kalash communities. The provincial government also fixed a quota for these communities in government jobs, educational institutions and scholarships. 9. For the first time in the country’s 70 year history, a man from the Kalash community was nominated for a minority seat. Wazir Zada from Chitral was awarded a ticket by PTI for a reserved minority seat in the Khyber Pakhtunkhwa Assembly. It was for the first time in history that a member of the Kalash community, which is Pakistan’s smallest ethno-religious group, was nominated for a seat in the provincial assembly. 10. The KP government distributed cash prizes among minority students. In a bid to help the poor and deserving minority candidates, the Auqaf and Minority Affairs Department of Khyber Pakhtunkhwa distributed cash among the parents to help them buy textbooks, stationery and school uniforms. A sum of Rs 1.21 million was distributed between 211 poor aspirants most of which were Christians. 11. The PTI led Khyber Pakhtunkhwa government made special allocations to safeguard and protect the rights of minorities: Special allocations were made to complete the projects initiated for the welfare of minorities. These included special packages for financial assistance, Jahez fund and health cover of minorities, construction of residential colonies, worship places, protection walls around minorities graveyards, special package for Kalash community, free text books, uniforms and foolproof security arrangements for worship places of minorities.